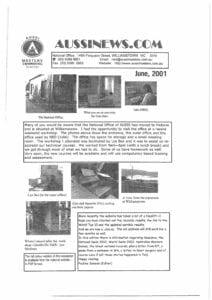 The formation of Masters Swimming Australia (formally A.U.S.S.I) can be likened to the conception, then birth of an elephant or a whale. It was 18 months from when the seed was sown in March 1974 until the birth in September 1975. The seed, of course, was the international meet at Heffron Park Sydney organised by Jack Brownjohn at the request of Dr Richard Rahe, USMS, and conducted with the help of Bill Lough and his AIF/Leagues Clubs competition team. The following 18 months saw exchanges of many ideas until on the 22nd September 1975, A.U.S.S.I., the Australian Union of Senior Swimmers International, was constituted at a meeting of eight men, adopting a constitution and structure drafted by Gary Stutsel. The following pieces have been written to share the history of Masters Swimming Australia. 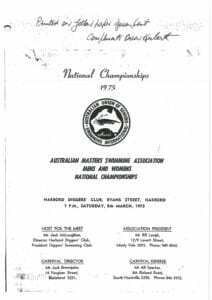 Following a successful carnival in 1974, the first Australian Masters National Championships was held on March 8, 1975, six months before AUSSI was established. 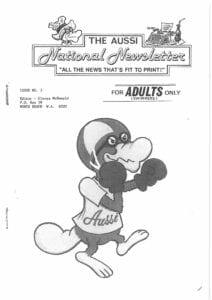 Here are some images from the early Newsletters and the first National Championships Cover page.